The greater North Lake Tahoe area, including Olympic Valley as pictured here, was inundated with smoke during the 2014 King Fire. The views, the lake and the crisp mountain breeze are among the top reasons people come to Lake Tahoe, but the air quality may not be as fresh as once thought. 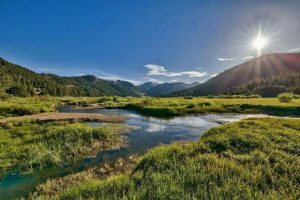 Placer, Nevada, and El Dorado counties each received a grade of F for ozone health in the American Lung Association’s “State of the Air 2017” report. 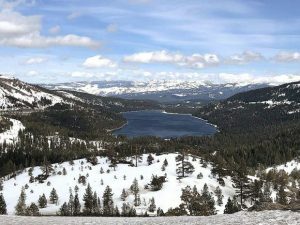 Further up the mountain, it’s hard to say whether North Lake Tahoe is much better off since limited data was available from the Tahoe City monitoring station, and no data was available for the Truckee station. Authors of the report gathered data from the Environmental Protection Agency’s Air Quality System monitoring stations throughout the state, and compared the number of unhealthy ozone pollution days and unhealthy particle pollution days. The station with the highest number of unhealthy air days was used as the base for each county. Barrett said that the readings for Placer County came from Roseville and Auburn monitoring stations. For Nevada County, the monitor at the Grass Valley station was used. In El Dorado County, data from the stations at Cool and Placerville were used. Data at the Tahoe City monitoring station showed relatively low levels of unhealthy ozone days, but there was no data for particle pollution. 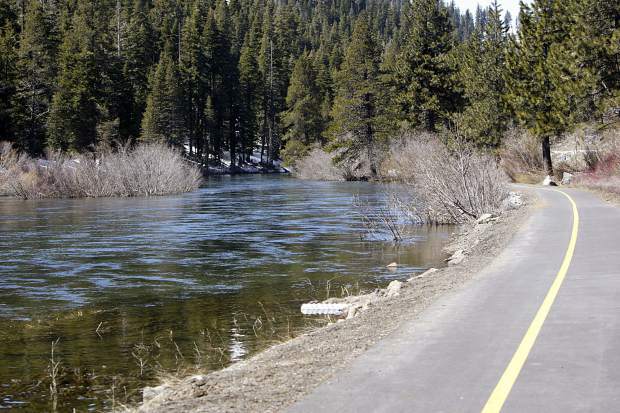 At the Truckee monitoring station, there was no data at all for 2013-15, which is the period examined in the study. The Northern Sierra Air Quality District, who manages the Truckee air quality monitor, did not immediately respond to an interview request. Ozone pollution, otherwise known as smog, is known to cause respiratory harm such as worsened asthma, according to the report. It is also likely to cause cardiovascular harm, such as heart attack, stroke, and heart disease. According to the report, those who are most vulnerable to health threats from ozone pollution are children and teens, people age 65 and older, people with existing cardiovascular or lung diseases, and anyone who works or exercises outdoors. 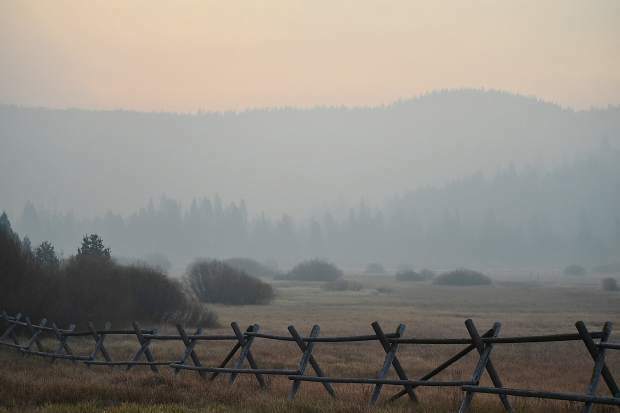 Nevada County’s Grass Valley had the greatest number of unhealthy pollution days when compared with Placer and El Dorado counties. A function Barrett said is likely related to the city’s location downwind from Sacramento. But, he said, the city has improved since the last report. Barrett said that across Northern California, the impacts of drought, extreme heat, and increased wildfire activity are beginning to show up more and more in the data. “It (air pollution) just stays around longer and longer because it’s not getting washed away by precipitation,” he said. He said while there was no particle pollution data for the North Lake Tahoe area, it’s a concern because wildfires can create a significant amount of particle pollution. Wildfires may also contribute to ozone pollution, he said, but the real concern is particle pollution. “They’re so small they can bypass the defense mechanisms our bodies have,” Barrett said. Particle pollution can also come from diesel vehicles and woodstoves, among other things. According the to report, breathing particles, which include soot, metals, acids, dirt, pollen, molds, and aerosols can trigger attacks, cause lung cancer, increase the risk of heart attack and stroke. To view the American Lung Association’s full report, visit stateoftheair.org/california.org. To view the data, along with what’s missing, visit arb.ca.gov/adam/select8/sc8start.php.